Financial Advisor IQ - Do RIAs Come Out On Top in Fiduciary Rule/Best Interest Fight? 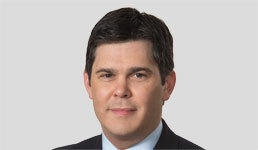 As investment watchdogs seemingly struggle to diminish a perceived regulatory gap between broker-dealers and RIAs, their efforts might actually serve to confuse investors as to what level of service – and protection – they are receiving from financial advisors, many industry commentators think. And in such an environment, how do the two camps – broker-dealer and RIA – look to retail investors as they shop for an advisor? Any confusion retail investors might have when it comes to the service offerings of financial advisors stems firstly from the nature of the two camps, many industry pundits argue. Broker-dealers who are transaction-based are largely concerned with executing the client’s trade, whereas RIAs concern themselves more with the management of a client’s investment portfolio, consumer advocates say. Typically, broker-dealers get paid by commission on transactions whereas RIAs charge a fee for their advice. Conventional wisdom, they say, argues fees are fairer than commissions for retail clients. On June 14 the Department of Labor’s fiduciary rule, which challengers argue was biased against the commission model, quietly succumbed to a slow death which effectively began with Donald Trump’s rise to the White House. An Obama administration-conceived so-called "fiduciary rule" had been proposed by the Department of Labor to purportedly force financial advisors to put the interests of their clients ahead of their own by only charging commissions if clients signed a waiver. Two weeks into his administration, President Trump ordered the department to review the rule and “determine whether it may adversely affect the ability of Americans to gain access to retirement information and financial advice.” On March 15, 2018, the rule was dealt a further blow when it was vacated by a federal appeals court. The Department of Labor had until June 14 to appeal that decision to the U.S. Supreme Court. The government agency let that deadline slip by and by June 21 the courts had officially closed the door on the rule. Enter the SEC, which on April 18 released its own version of a rule apparently aimed at curbing broker-dealers. Much like the DOL’s failed rule, the securities watchdog’s proposed Regulation Best Interest tries to stop broker-dealers from choosing for their clients investment products that pay them hefty commissions when cheaper products would serve the client better. The regulation would also stop broker-dealers from calling themselves advisors if they’re paid by commission instead of by a fee for their advice. Like many industry advocates, Karen Barr, president of the Investment Adviser Association, believes the SEC’s rule-making attempt is a “good start” and a “step in the right direction” but “requires greater clarity.” She thinks the Trump administration will now effectively ditch the DOL’s attempts to regulate the industry and put its weight behind the SEC’s efforts. “The DOL will have to issue guidance on the rule” in its current state, but the “SEC will take the ball going forward,” Barr says. Meantime, throughout this regulatory roller-coaster and for decades past, RIAs have already been held to a fiduciary standard by the SEC under the Investment Advisers Act of 1940. That two different types of financial advisors have been held to two vastly different legal standards has always been problematic for the industry and confusing for investors, experts say. Yet as the DOL rule’s demise has shown, attempts to homogenize responsibilities has historically been fraught – if at all even necessary. Yet one of his own commissioners thinks the regulation falls short of its goal. “Regulation Best Interest purports a minimum standard that brokers may not put their own interest before the investors but I’m not sure that it does,” SEC Commissioner Kara Stein said at an investor conference in Atlanta earlier this month. RIA Edelman Financial’s CEO Ryan Parker says it is unfortunate the industry needs rules “to make financial advisors act in the best interests of their clients in the first place. Barbara Roper, director of investor protection at the Consumer Federation of America, questions why under the proposed regulation broker-dealers need simply to express that they’re acting in the client’s best interests, whereas RIAs must laboriously explain that they operate as fiduciaries – a term she’s convinced still doesn’t resonate with the vast majority of retail investors. A good regulation, she says, would be neutral: “It shouldn’t matter which type of advisor you go to. Everyone should be held to a high standard.” However, the SEC’s proposal, she says, makes life easier for broker-dealers and in turn harder for RIAs. Frank Paré, president of industry group the Financial Planning Association, thinks in an environment of such confusion, it’s not enough for RIAs to differentiate themselves as legally bound to put the client’s interests first. 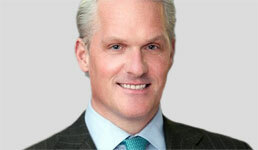 Paré insists RIAs need to differentiate themselves further, with better credentials. While recognizing a chasm between how the two rival advisor types are regulated – even under the new proposal – other observers believe RIAs still have the edge over broker-dealers. Thomas Holly, Washington, D.C. head of the U.S. asset and wealth management practice of PwC, says in the discussion about the role of fiduciaries, RIAs came out on top. When a firm is both an RIA and a broker-dealer, Holly worries that clients might not be able to understand what their advisor’s legal obligations are at any given moment – for instance, while executing a trade to rebalance a portfolio or providing asset allocation advice. “Ultimately rules and regulations should be there to provide both financial service providers and their clients with a clearer understanding of roles and responsibilities,” says Holly. Yet as RIA Fisher Investments chief executive Damian Ornani puts it, even though they can arguably claim the regulatory high road, not all RIAs are not created equal. John Anderson, managing director of practice management solutions for the SEI Advisor Network, says in a bid to differentiate their service offerings further, RIAs are increasingly separating out their investment management fees from their financial planning fees. Fisher Investments uses its differentiation as a fiduciary as a key message in its marketing. The firm runs a national television advertising campaign, explaining that they always put the client’s interests ahead of their own. Ultimately Ornani thinks a growing awareness of the differentiation between types of advisors will increase market share for RIAs “in a meaningful way.” But not for every RIA.